We WILL leave you 100% satisfied or we're not done! Call now! 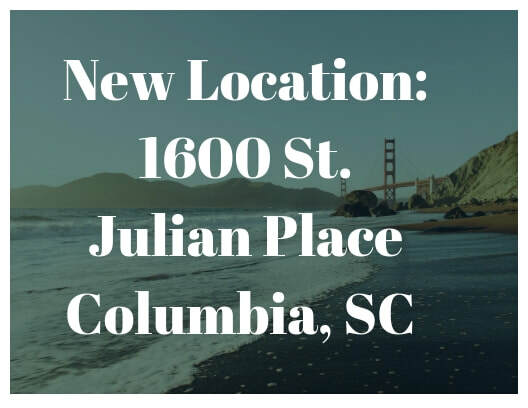 If you're looking for THE PREMIER PLACE to get your eyebrows microbladed in Columbia, then congratulations - you have landed on the right page. We get it. 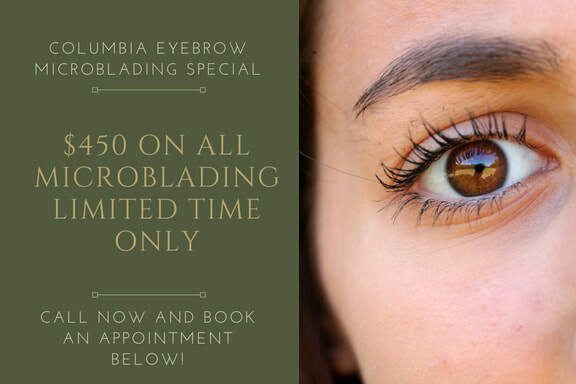 You've seen the trend skyrocket and you want a reliable and professional microblader to work on your brows and get those glamrous eyebrows that you've seen in all the articles and videos. Lucky for you, we have had not just "satisfied" customers, but customers who have left downright ELATED and we want the same for you! Why get microblading done? Well, if your eyebrows don't have the same thickness they used to, or maybe the shape isn't quite what you had envisioned for yourself - you'd be a great candidate for this procedure. Bolder eyebrows will give you a confident put together look and emphasize all the other prominent features of your face. Let me guess, as of now all your time is focused on making sure your brows are neat and tidy in the morning not to mention the cost of the make-up products that add another punch. This is where microblading comes in. This is a semi-permanent technique that will give you the full, thick and finely crafted eyebrow shape that you are looking for! All of our customers have commented that their experience with Columbia Eyebrow Microblading has been pleasant: From the phone call, to the service, to the actual results. Our standard is to OVERDELIVER! And at a price that won't break the bank. Now that's something you can brag about! It's normal to want a change. Why not have that change with the most experienced microblader in all of Columbia? We understand some people can be extremely paranoid about a sharp tool next to their face. But honestly, the truth is when you're in our comfortable and relaxing environment, all your worries are put to rest. We talk with you and detail out the procedure and make sure you are one-hundred percent relaxed. A little bit of numbing cream is applied on the area of work and outside of a little discomfort, you won't feel the pain that you think you will. Most customers are pleasantly surprised with how painless the process is. And many have even compared it as less painful then threading or waxing. Ofcourse, with microblading you give yourself the freedom of a semi-permanent eyebrow solution that can last anywhere from 12 months to THREE years! So you're ready to look your best ALL the time. Call Columbia's number one permanent make-up clinic and we will set up an appointment for you in minutes and get you the full thick glamorous eyebrows you've been dreaming about! 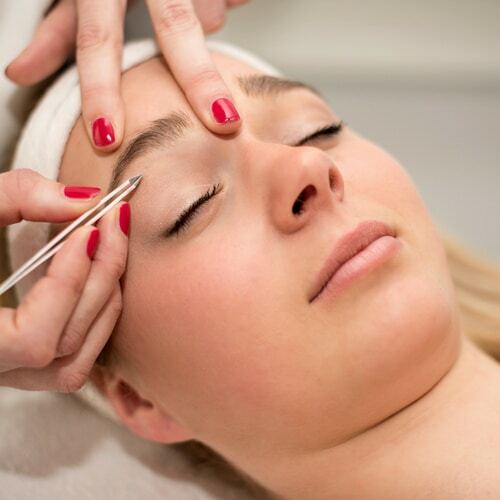 Check Out the Services We Offer at Columbia Eyebrow Microblading Below! The new trend that's sweeping the nation. Turn those dim, thin eyebrows into thicker, fuller, and more prominent brows that give you a bold look. This technique utilizes a fine blade that taps into the upper layer of your skin and adds pigment the same color as your natural brow color. We create fine strokes that mimic your EXACT brow shape and color to give you the desired eyebrow look you've been dreaming about! Check out our picture gallery for before/after pictures to compare! We get it. You want someone that does the job. And does it well. Good thing our standard is to leave our customers with not just perfect brows, but also a big fat smile on their face!. From the phone call, to the initial consultation, to the service itself and the results - we maintain integrity throughout. Your time is valuable and you have options. We respect that. This is why we OVERDELIVER on our results to make sure we leave you downright ecstatic with your newly donned brows! Our staff makes every customer feel comfortable and in love with their new look. And if not, we get back to work till they are! We have been part of the cosmetic and make-up industry for over a decade. During this time, we have cultivated enormous experience that gives us leverage over any other make-up business out there. We have seen people from all walks of life with all kinds of different skin shapes and sizes and have had success with each and every one of them with seamless effort. Be our next ELATED customers and give us a ring today to set up an appointment! During our initial consultation, we sit down with you to discuss expectations and your desired outcome. We are here to cater to the EXACT look you've been dreaming out and leave out no detail. Once we've finalized the process of getting you the look you want, we set up an appointment for the procedure. During the procedure, our goal is to make sure you are one-hundred percent comfortable and relaxed. Our environment is built so you can feel at home and be stress-free. We make sure that all tools and equipment are state of the art and maintain strict protocols to ensure complete sterilization. The only thing we care more about besides giving you the perfect shape and boldness to your brows is giving you a big fat smile to go along with it. Let Columbia Eyebrow Microblading be the place where you take the step to a bolder and more confident YOU! Contact us today and set up an appointment in minutes today! And if you love the way we write, check out out blog for all things make-up, beauty and more! Cutting edge technique that utilizes a fine blade to make an incision in the superficial layers of the skin allowing us to deposit color pigment that match your brows. We then create hair strokes that look like your REAL eyebrow hair with the same texture. This results in a natural fuller, and thicker eyebrow. As this is a semi-permanent procedure, the results can last anywhere from 12 months to THREE YEARS! What is the cost of Microblading? Service can cost anywhere from $200-$600 depending on the extent of the work we are dealing with. When you come in for an initial consult, we will be able to assess your needs and give you an exact price! What do I need to do before my microblading session? The number one thing you can do for us is RELAX! We get that this can be an intimidating procedure for some people but many customers who have felt the same way have been through this and you will too. There are a few things you should restrict yourself from, however before getting this procedure: excessive salon tanning, blood thinners, botox for two weeks, and enormous sun exposure. We break down the procedure in two sessions. This is a tedious and detailed process. It can take upto two hours to fully add pigment and shape the brows to your ideal vision during the first session. The second session will take place four to six weeks from the first and encompasses re-shaping, stabilizing, adjusting, and further defining the eyebrows as needed. Okay be honest- how bad does microblading hurt? As mentioned before, most customers think that waxing is more painful than microblading. There is a numbing cream applied to the area of work in order to further numb any discomfort that might take place. In general, expect a slight discomfort but other than that - nothing out of the ordinary. Are there any side-effects associated with microblading? Few people demonstrate an allergic reaction to some of the products we utilize for the procedure. In order to ensure that's not the case with you, we will perform an allergy test in a small part of your skin to confirm you will have no adverse reactions. What to do if I don’t like my new eyebrows? We guarantee that we will do everything possible to give you the eyebrows that you desire. However, like all skin based services, there are times where it's not completely possible. You must be considerate about what practitioner you have chosen to perform microbalding on you. Look at before and after pictures to confirm that these are the type of results that you seek. Touch ups can be offered (see below) to restructure brows. How do touch up sessions work? Touch ups are a way to further stabilize the eyebrows and maintain the look that we have created for you for as long as possible. It's important to have these mini-sessions AFTER the initial work has stabilized (Usually atleast 4 to 6 weeks). Up until this time, the skin is still recovering and is vulnerable to irritation. We will go over when a touch-up is recommended for your specific case after you have been through the full microblading procedure.